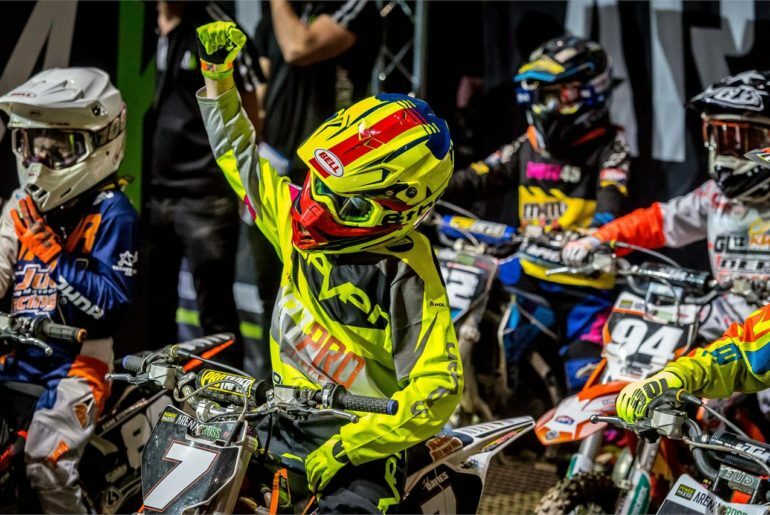 The 2019 Arenacross Youth 65 class has been confirmed, with 14 eager youngsters ready to attack the whoops when the gate drops on the Arenacross Tour at The SSE Arena, Belfast on Friday the 18th of January. 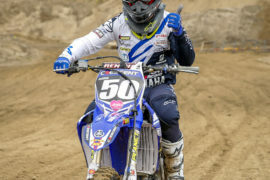 The reintroduction of the petrol-powered class was welcome news for the nation’s 65cc racers and the class includes a good mix of new-to-AX hopefuls as well as several young AX veterans. 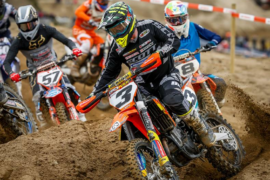 The 2019 line-up will include a couple of nine-year-olds – Zane Stephens (KTM) and Freddie Bartlett (Yamaha) – amongst a bevy of 10-year-old riders and, going into the new AX season, it is those two riders whose previous results and experience of Arenacross may give them the advantage. Stephens from Newquay and Bartlett from Street both have solid scorecards from contesting the Youth 65 class in previous years. 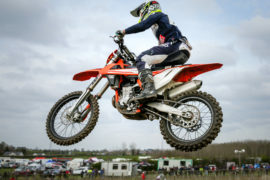 Stephens finished a close third last year, just one point from second and 14 off first, whilst Bartlett, at the tender age of seven, competed in 2017 and finished a solid fourth. Now a resident of Sweden, he’s been up against some of the fastest 65cc racers in Europe which should stand him in good stead for Arenacross. 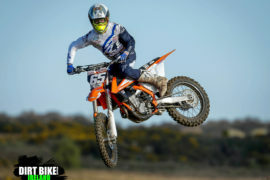 Other riders with AX experience include Tyler Mabiker from Birmingham, Austin Beasty from York, Alfie Osborn from Brentwood and Ethan Childe from Kidderminster, who are all aged 10 and riding KTMs, as well as Yamaha-mounted Ben Casey from Shrewsbury. On the new-rider front, Arenacross welcomes its first set of racing twins in the guise of Cole and Robbie McCullough from Castlederg in Northern Ireland, riding Husqvarnas. The boys may well be Arenacross novices, but the discipline’s certainly not an unknown quantity within their family circle as their dad Philip McCullough – Team Ireland’s MXoN boss – and their uncle Adam Lyons have both raced Arenacross in the past. McCullough senior had a best place finish of second in 2002, whereas Lyons famously won the Belfast round of the series in 2003. The remaining 65cc mini racing warriors are all 10 years of age and include Sebastian Moore (Yamaha) from Crewe, Isaac Ash, from Newton Abbot, Lewis Spratt from County Omagh and Jamie Keith from Askam in Furness – all KTM-mounted. The six-round 2019 Arenacross Tour kicks off on the 18th of January with a double-header at The SSE Arena, Belfast prior to travelling to Birmingham and then Sheffield. Arenacross Tour tickets are on sale now, with prices from just £12 for a child visitor on Friday evenings, and substantial discounts available for two-night tickets. Arena doors will open at 6pm, with the opening ceremony getting underway at 7.30pm. 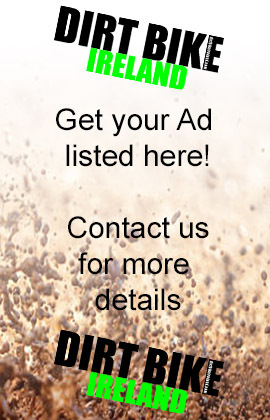 Visit www.arenacrossuk.com for 2019 Tour information and to buy tickets. 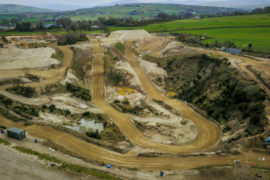 Copyright © 2018 DirtBikeIreland. All rights reserved. Designed by ViperDesigns.